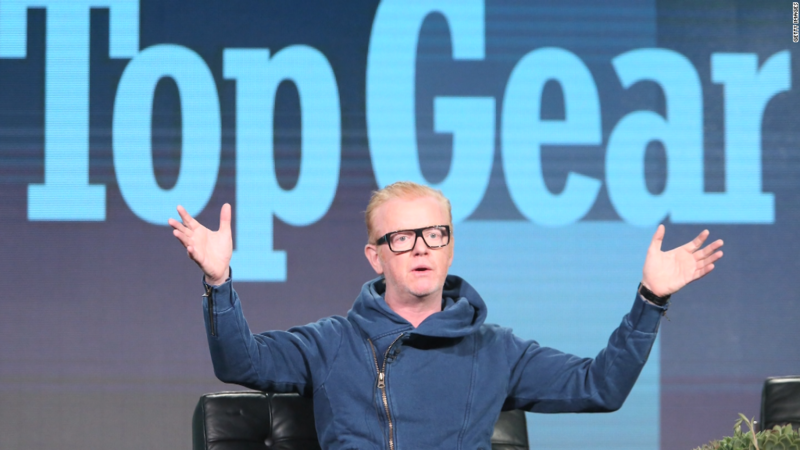 Chris Evans' stint as host of Top Gear is over, after just one season. Evans said he was resigning from the BBC money-spinner to focus on his radio show. His decision to quit follows media reports of tension with co-host and former Friends star Matt LeBlanc, and poor ratings. Sunday's finale drew only 1.9 million viewers on the night, and the series was averaging just over 4 million per episode, including recordings. "I feel like my standing aside is the single best thing I can now do to help the cause," Evans said in a statement. The BBC hired Evans and LeBlanc to host Top Gear after Jeremy Clarkson was sacked in 2015 when he punched his producer. But the new version got mixed reviews. Here's The Guardian's take on the first season with Evans in charge: "It might not have been pretty, or funny, or interesting, or particularly well watched, but at least the show now has something to work with." British media said LeBlanc had threatened to quit if his co-host wasn't removed first. "[Chris] says he gave it his best shot doing everything he could to make the show a success," BBC Studios director Mark Linsey said. "He firmly believes that the right people remain, on both the production team and presenting team to take the show forward and make it the hit we want it to be." The BBC said the new series had more than 30 million views in the U.K. alone, and had already been sold to 130 territories worldwide. Top selling shows such as Doctor Who and Top Gear form the heart of BBC Worldwide, the corporation's £1 billion ($1.32 billion) commercial arm. Before season 23 began in late May, the BBC said Top Gear had an estimated global audience of 350 million people, with local versions in the United States, China, France, South Korea and Italy. It has a huge social media presence with 23 million fans on Facebook. Top Gear is also the biggest motoring media channel on YouTube with 1.2 billion video views. Amazon (AMZN) signed up Clarkson, as well as former Top Gear colleagues Richard Hammond and James May, to present a rival show -- The Grand Tour -- starting this fall.